. Your cart will total 211 points that will be converted into a voucher of $211 towards your next purchase! Must be logged in to collect points. 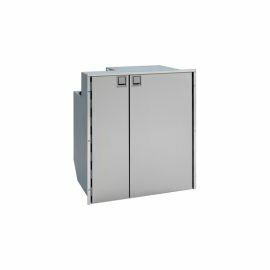 The CR 200 Stainless Steel is a stylish fridge-freezer in stainless steel design that offers spacious on board storage for fresh and frozen foods. Fitting nearly under the counter, CR 200 has a large 5.3 cu. 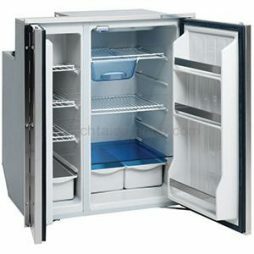 ft fridge with three shelves on the door, cold-cuts tray, 3 bottle wine caddy, and vegetable crispers as well as a 1.8 cu. ft freezer section with wire shelves and a storage bin. It’s just like being at home! 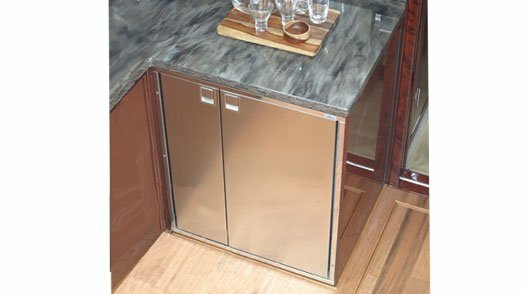 The Isotherm Cruise 200 Stainless Steel is an under-the-counter, side-by-side refrigerator/freezer that features the refrigerator compartment on right and freezer on the left. The refrigerator has a three-bottle wine caddy, meat drawer, and two vegetable bins to store all of your favorite foods. It features stainless steel doors, handle, and flange. 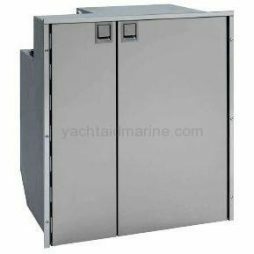 Isotherm Cruise Refrigerators offer innovative, reliable and energy-efficient refrigeration system solutions designed exclusively for sailing yachts and motor cruisers. Refrigerator Volume: 5.2 cu. ft.
Freezer Volume: 1.8 cu. ft.